SUPER thank you to our SEE2018 Event Sponsors! Configurable Management’s implementation and support capabilities cover the entire spectrum of SAP solutions from back office ERP to front office business intelligence. We provide in-depth knowledge of the latest SAP products and the ability to apply it to create a unique solution that meets your business objectives. We help clients maximize business benefits, including assisting with the evolution and enhancement of SAP solutions. Collinwood Technology Partners is a Veteran Owned Information Technology Consulting and Staffing firm. We offer a complete solution to your IT staffing needs. We have a narrow focus in ERP, BI/Analytics, and Software Development. with a particularly deep network in SAP- ECC, BPC, HANA, BusinessObjects, SuccessFactors, Ariba, Hybris, and more. We ensure the satisfaction of our clients by providing outstanding services in a highly personalized manner. As a Veteran Owned Business, we take great pride in doing the right thing by our clients/consultants, operating truthfully/honestly…coming through on our commitments…working until the task is complete, and building strong relationships. We look forward to being your trusted SAP Staffing partner. Our goal is to make our customers successful. We understand the importance of your employees and how a user friendly interface will improve productivity, efficiency, and user adoption. The fully integrated Liquid UI platform is complemented by state-of-the-art GuiXT technology for customizing, tailoring and streamlining SAP business processes. Paymetric is an award-winning company built on shared purpose, an unremitting pursuit of excellence, lasting collaboration, accountability and integrity. For close to 20 years, we have been recognized for our work and honored with awards for technical innovation and thought leadership. Do you feel like your data is on the inside and you’re stuck on the outside looking in? Wondering how you’ll get access? It’s your data but you shouldn’t have to struggle to use it, leverage it, derive value from it. 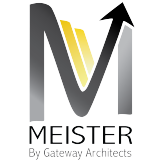 No matter where you are on your journey with SAP, Meister can enable significant improvements. Abreon ensures successful change adoption through a “total” solution. Our people-centric approach delivers programs that provide experiences that mitigate the fear of change and provide a comfort level for employees. Abreon engages employees to ensure that they are actively participating in the change. Abreon accomplishes this by providing relevant scenarios and information that meet the goal of effectively changing employee behavior. Dexler enables knowledge sharing worldwide, through the use of innovative learning enablers. We offer our customers a combination of strategic educational services and products, robust delivery platforms and learner-appropriate content in a flexible framework for individual learning, corporate education, and community learning. Excel4apps is a best-in-class provider of Microsoft Excel-based reporting and data-loading software for use with SAP. By empowering business professionals with independent and secure access to real-time ERP data via Microsoft Excel, the company’s products expedite accurate and timely business decisions. Founded in 2005, Excel4apps now serves users in 87+ countries. At Titan Consulting we offer professional services focused on SAP solutions with industry-specific experience. Our clients hire us to do more than just configure SAP, but to share Best Practices that optimize your business processes. Our consultants work with your teams to ensure the smooth transfer of critical knowledge in your firm.